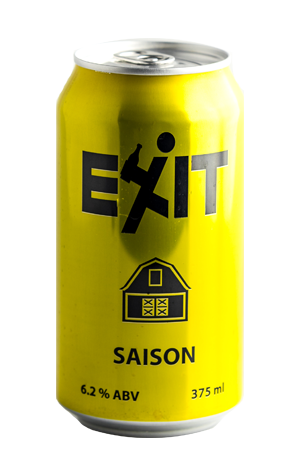 We've made little secret of our fondness for the saisons brewed by Frase and Grum of Exit Brewing. While they've proved to be adept at brewing across a range of styles, we held a particular affinity for their #001 and #006 releases, the first a tribute to the roots of their brewing adventure in Belgium, the second a tweak on that. So, as they've steadily unveiled the four beers that will form their permanent range – first an IPA, then a hoppy Amber, then the Milk Stout – we've been on tenterhooks. But no longer, as the bold yellow liveried final member of the gang is with us and it's a saison. Again, it's an evolution on the previous two, taking the traditional roots and yeast characters of such a beer (hence the image of a farm shed on the label) and adding a collection of characterful New World hops, most notably, perhaps, Sorachi Ace. 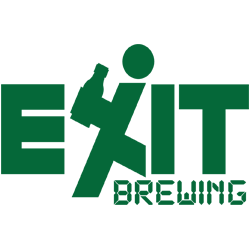 This quirky hop of Japanese origin has been used to wonderful effect in farmhouse inspired ales such as Brooklyn's Sorachi Ace and UK brewery Wild Beer's Epic Saison. Here, it adds lemon and lime curd aromas to compliment the citrusy characters of the yeast and other hops and the honey like malts. There's some spice and a touch of tutti frutti to taste and a drying bitterness to sweep up the sweetness that has come before. Thanks, chaps!